At Creative Encounters, we know how to integrate people, place and process with art and design. A well thought out, professionally framed and installed series of artwork has tremendous benefits to employees and visitors alike. 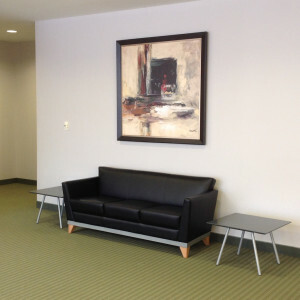 Art in the workplace increases creativity and productivity while reducing stress. It enhances employee morale, encourages open dialog and broadens the appreciation for diversity. And it’s not purely a decorative decision… we work to design and install an engaging environment, and one that reinforces your corporate image. Contact us today for more information on how we can help bring beauty to life in your workplace. View our Commercial Art Portfolio! Sometimes, knowing where to begin is the hardest part. Let Creative Encounters help you to shape the perfect project. Contact Us Today!